Join Listen & Learn Plus! Listen and Learn Plus! is a membership for music therapists, music educators, parents and anyone else who wants to give their clients, students & children a rich musical experience. 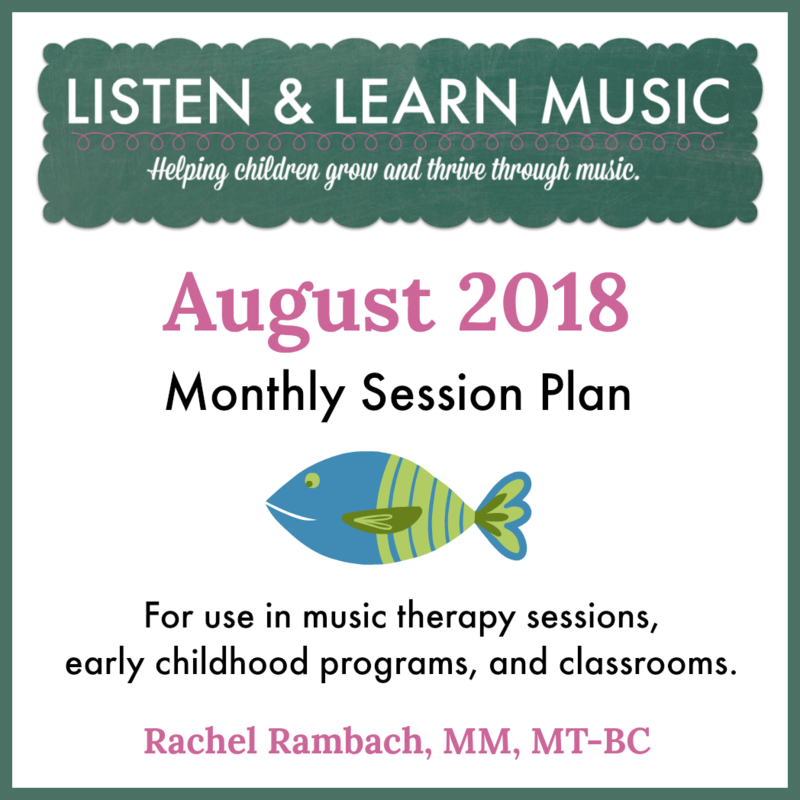 Gain instant access to a vast collection of over 200 songs (mp3, lead sheet, and instrumental track), facilitation guides, session plans, and visual aides, plus ALL new releases from Listen & Learn Music. Significant discounts on CMTE courses from Listen & Learn Music are available to VIP members. Watch the videos below to learn more about two new and exciting additions to the Listen & Learn Plus arsenal! Almost all of the songs in the Listen & Learn Music collection are written to target specific goals and objectives. Address social, cognitive, motor, and communication skills with a variety of songs, many of which include accompanying visual aides. Can’t find a song that addresses a certain goal you’re targeting? Ask Rachel: she’ll add it to her to-write list! Each month, you’ll receive a complete session plan full of applications and adaptations you can use and tailor to your own students and clients. “I love being a member of Listen & Learn Plus! It’s especially great for weeks when my own creativity wanes but I still want to provide high quality musical experiences for my students. Having recordings along with chord charts & lead sheets makes the songs super easy to learn. “Having access to your amazing resources and materials through the site has kept my interventions fresh while saving me time and money. Because I know your materials are high quality, Listen & Learn Plus! is one of the first places I look to get new intervention ideas. “I’m a pediatric occupational therapist, and I love Listen & Learn Plus. Children respond so well to the songs and their families love the songs too. “Listen & Learn Plus has been great to get some new creative ideas, especially for clients that I have had for many years, where a fresh perspective is especially helpful. to be informed as soon as the doors open again!